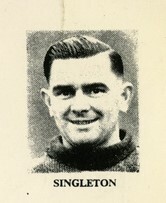 Long serving Exeter City goalkeeper, Singleton commenced his playing career as an amateur with Lincoln City. 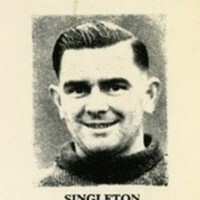 During the War Singleton served with the Royal Navy. He signed for Exeter in January 1946 and was to remain at St James’ Park until the end of the 1953-54 season. He made his debut for the Grecians at Bristol Rovers in a Third Division South Cup (Southern Section tie) in January 1946. Sharing the goalkeeping spot with Bert Hoyle, Singleton’s best season was 1950-51 when he featured in 42 games and even scored a goal! Having injured his back, he moved to the wing for the rest of the game and netted in the 2-4 defeat at Aldershot on Christmas Day 1950. 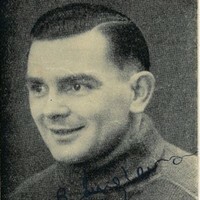 He was placed on the transfer list at his own request in October 1951. 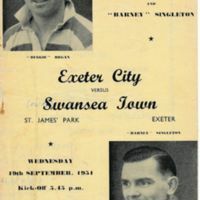 On leaving Exeter, Singleton signed for Yeovil Town in the summer of 1954. Singleton then signed for Bridgwater Town in the summer of 1956 and moved to Minehead on a one month trial in October 1957. 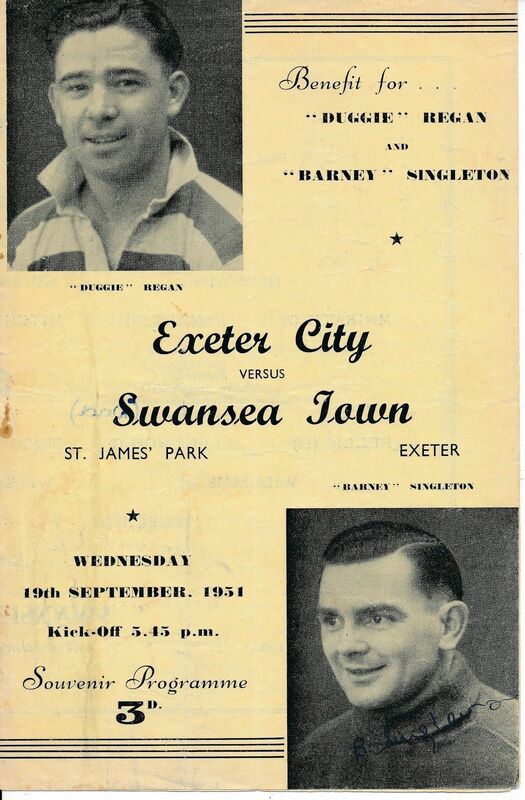 Singleton was back at St James’ Park in March 1958, when he was appointed as a club scout. 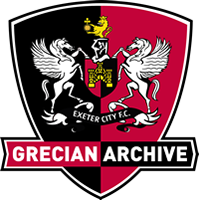 He made a playing comeback for Exeter City reserves in April 1959 and again the following season, to help out following an injury crisis to goalkeepers at the club. He later became reserve team trainer at St James’ Park, but in February 1965 left to become coach to Ottery St Mary. He became manager of the Devon County FA youth team in September 1969. 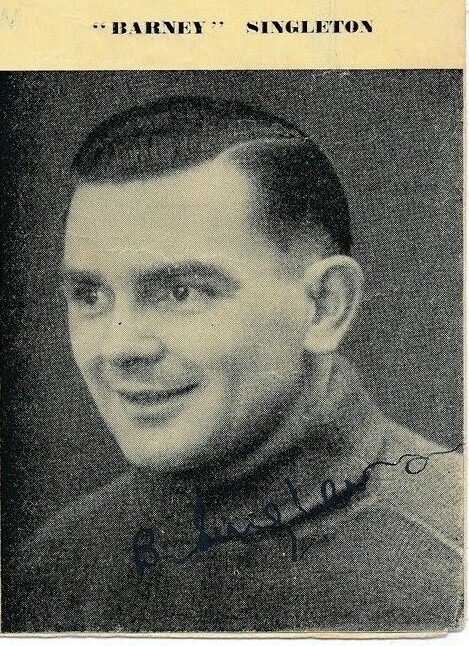 Barney Singleton died in December 1981.